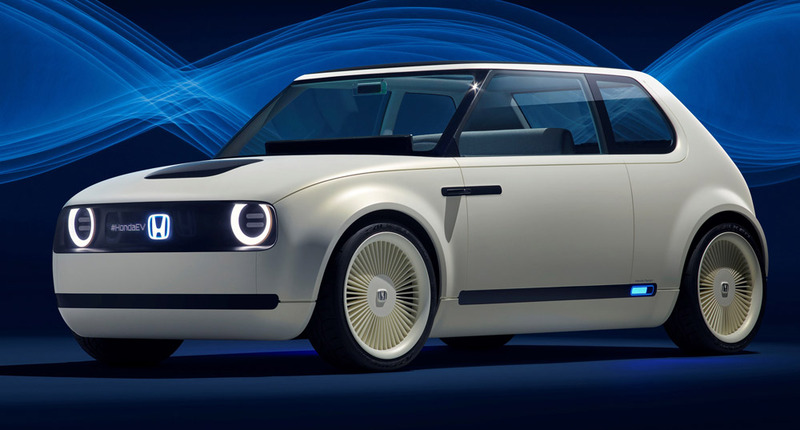 Honda took the opportunity at its 2018 Geneva Motor Show press conference to confirm that order books for a production version of its Urban EV Concept will open early next year. It will be Honda’s first mass-produced battery electric vehicle sold in Europe and features a simple and sophisticated design, slim A-pillars and wide windscreen that appears to sweep around the entire front of the passenger cabin. Inside, four occupants can be accommodated in comfort across the car’s two bench seats, which are finished in different materials to create the ambience of a lounge. The front row is upholstered with a natural grey fabric and embellished with contemporary wood finish accents. The dashboard features a wrap-around screen that extends into the doors. The dashboard display presents a range of vehicle information, while the extended door screens function as the car’s side mirrors through digital camera displays.